Who doesn’t love pizza? It’s arguably one of my all-time favorite foods to eat AND make, plus it’s a crowd-pleaser that you can find throughout the world. What I really love about pizza, especially homemade pizza, is the ability to customize it with different toppings, crust thicknesses, etc. – the possibilities are endless. 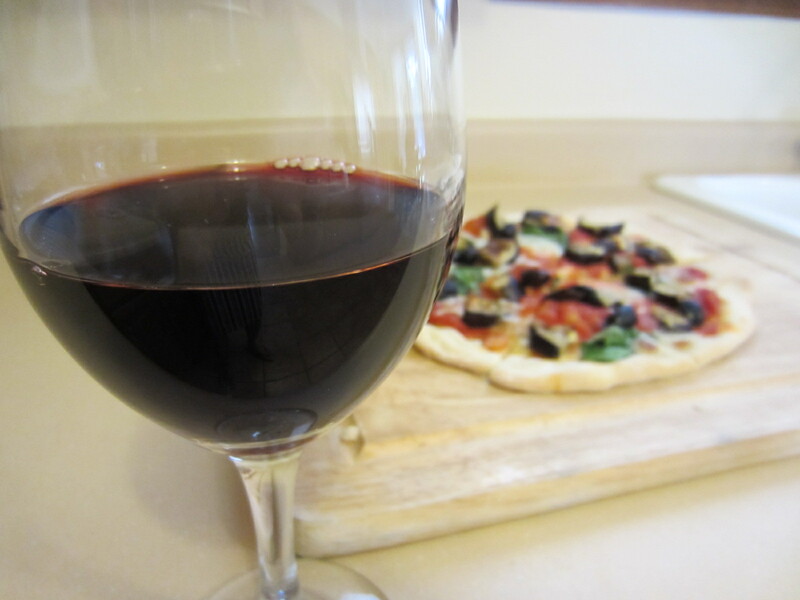 I especially enjoy my “pizza nights” with family and friends where everyone gets to make their own personal creation. Afterwards, I always get a lot of requests for the dough and sauce recipes, so I’ve decided to share them here. In the bowl of an electric mixer fitted with the dough hook, sprinkle the yeast and sugar over 1 1/4 cups warm water. Let the mixture stand until yeast is creamy, about 5 to 10 minutes. In a large bowl, whisk together the flour and salt then add it to the yeast mixture. Mix on low speed for 4 minutes or until the dough forms a coarse ball. Cover the bowl with a damp kitchen towel and let the dough rest in the bowl for 5 minutes. Remove the towel and knead the dough on medium-low speed for 2 minutes or until it clears the sides of the bowl. Lightly oil a large bowl, then form the dough into a ball and transfer it to the bowl, turning it lightly to coat with oil. Cover the bowl tightly with plastic wrap and let stand at room temperature for 40 minutes, or until the dough has doubled in size. Divide the dough into 4 pieces, shape into balls and place on a lightly floured baking sheet, leaving a few inches between each ball. Loosely cover the baking sheet with a damp kitchen towel and let the dough rise at room temperature until doubled, about 2 hours. Preheat a baking sheet or pizza stone in a 450 degree Fahrenheit oven. 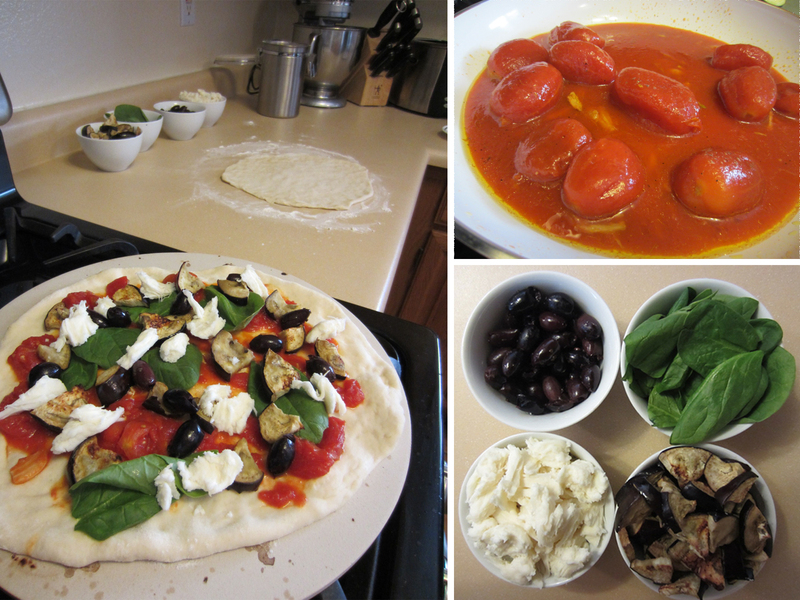 Lightly flour work surface and press dough ball with your fingers to begin to shape it, then gently stretch dough to form a 12-inch round. 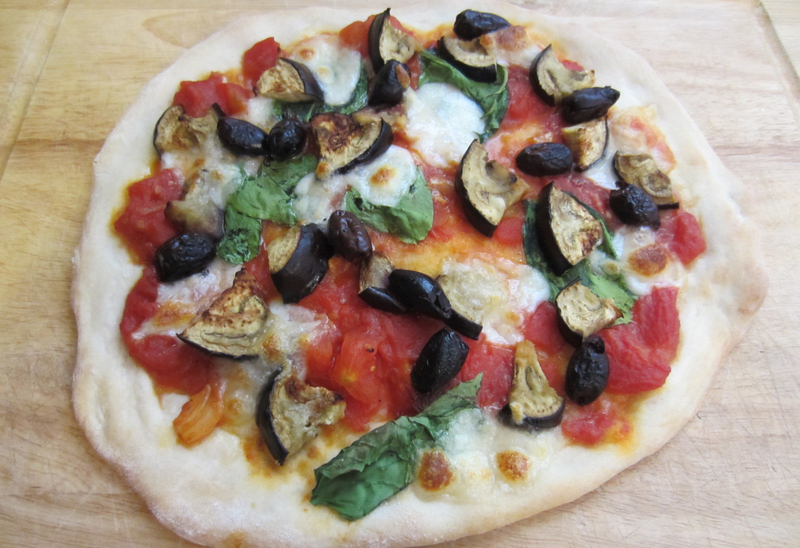 Transfer dough to baking sheet or pizza stone and top with tomato sauce (recipe below), cheese and other toppings as desired. Bake until the edges of the crust are crisp and cheese is golden brown, about 8 minutes. Transfer pizza to a cutting board and let cool at room temperature for about 5 minutes before cutting. Recipe from La Cucina Italiana magazine. Peel the garlic cloves and smash with the back of a knife. Over medium heat, cook garlic in approximately 5 tablespoons of olive oil until golden brown. Add tomatoes and a generous pinch of salt and pepper. Cook until thick and no longer watery in consistency, about 8 to 10 minutes. Crush tomatoes with the back of a wooden spoon, then add remaining olive oil and more salt and pepper (if desired) and turn to high heat. Cook until the oil turns red and remove from heat. Thanks! Keep me posted on how it turns out!